You are currently browsing the daily archive for August 20, 2010. 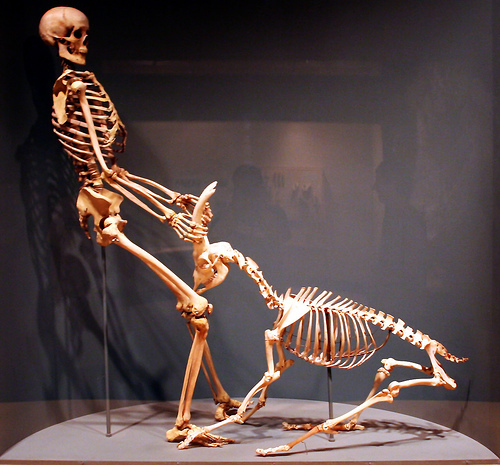 To quote K. Kris Hirst, “Archaeological data suggest two distinct places of domestication: the Euphrates river valley at Nevali Çori, Turkey (11,000 bp), and the Zagros Mountains of Iran at Ganj Dareh (10,000).” Genetic evidence has confirmed that modern domestic goats descend from the Anatolian bezoar ibex, Capra aegagrus. 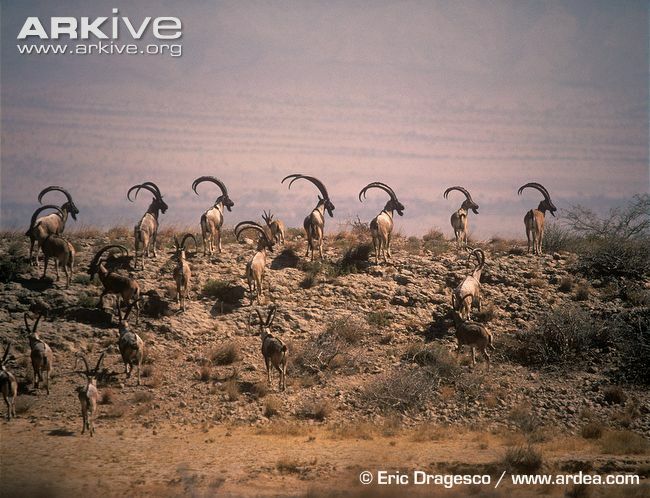 The bezoar ibex, or wild goat, lives in flocks of 50 or so individuals (although flocks can become much larger and range up to 500 if conditions are right). It ranges in size from 150 to 300 pounds and can live up to 25 years on just about any sort of vegetation. It goes without saying that wild goats are clever, strong, and nimble (and have long sharp horns jutting from their thick skulls). Mesolithic hunter/gatherers were nomads who followed wild game and gathered seasonally available berries, seeds, and nuts. It seems likely that the first herders already lived in tandem with goats before becoming herders. I wonder how the hunter gatherers came to realize that they could take over the flocks and make the animals go where they wanted. Whatever provoked the epiphany, these original animal farmers must have had plenty of hard-headed stubbornness in order to subordinate the unruly wild bezoar goats! Um, just run over and grab him, I guess… I’m sure he won’t mind. By domesticating the goat, they acquired most of the benefits of domesticated animals all at one go. Goat’s milk is delightfully potable and can be made into cheese and yogurt. Goat meat is delicious (and is still the meat most often consumed by a majority the world’s human population). The renewable hair of goats can be woven or spun into textiles, while its hide makes soft and durable leather. The horns and bones of goats are admirable for tool making and decorative arts while its hooves can be made into gelatin or glue. Even dried goat dung can be burned as fuel. 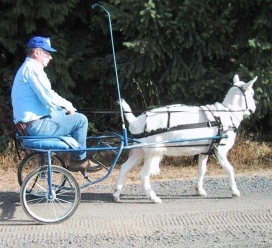 The goat also can be trained for draft work and made to pull a sledge, cart, or plough (although this probably wasn’t terribly obvious in a world which lacked grain farming and the wheel). Although they were the first animals to fall under human agricultural sway, goats have not fallen so deeply under our thrall as most other farm animals. Goat herding remains goat herding—the animals do much better when they have pastures to graze in. To quote Wikipedia, “stall-fed goat rearing involves extensive upkeep and is seldom commercially viable”. So goats are not raised in factory farms like cows, sheep, and poultry. Additionally domestic goats, like their wild forbears, are clever animals with a natural gift for climbing, jumping, and escaping. 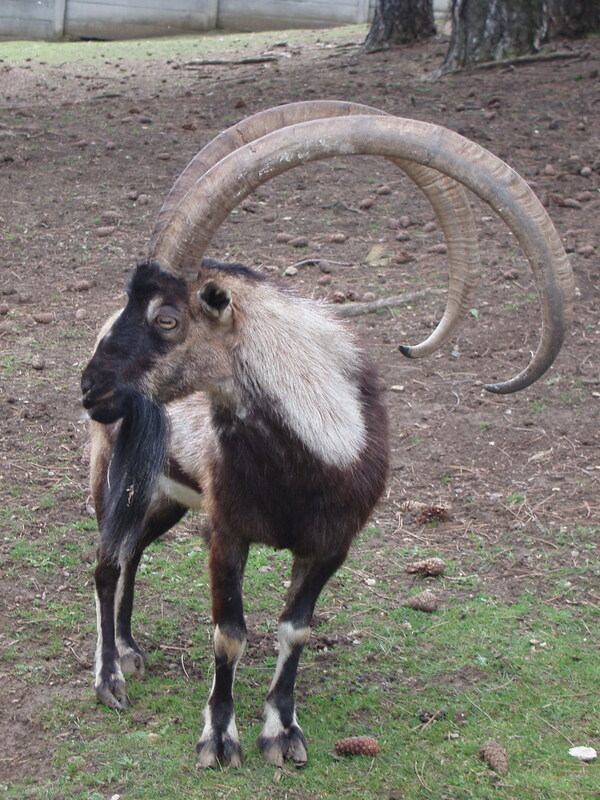 Feral goats revert quickly to type and can thrive in most environments. 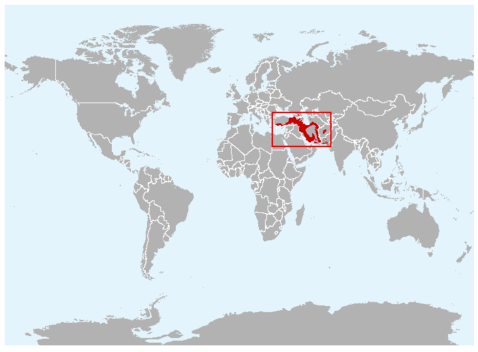 There are wild goat populations dotted around the world in places such as Australia, New Zealand, the Caribbean Islands, Hawaii, Ireland, Great Britain, California, Indonesia, and the Galapagos (among others). *I’m not counting dogs: wolves joined up with us many millennia before we domesticated anything else. Our best friends have been with us since the remote depths of the ice age when we were nobodies. They’ll be with us when we blast off for the stars or fall down dead in the toxic dust.